I was asked to write the following article for BMW Vintage & Classic Car Club of America Newsletter. I thought I would post it here too. It's pretty cool all the attention M Coupes have received lately. The president of the BMW V&CCCA bought an immaculate alpine white S54 last year and is shipping it to Germany to take to all the 100 years of BMW celebrations. Awesome! The reaction is almost always instantaneous, it's always strong, but it's not always positive. And that's okay. That's what makes the M Coupe special. It was imagined during a different era at BMW, when building the Ultimate Driving Machine came first and foremost. It wasn't designed to fill a niche or appeal to a particular demographic; it was meant solely for fun. The M Coupe was the very definition of an after hours project, and those projects tend to be the special ones. Rumor has it that a small group of renegade engineers were unhappy with the sloppy handling of the soon to be released Z3. They borrowed an early Z3 prototype and grafted on a roof to reinforce the chassis. These guys didn't give up their nights and weekends in order to make a mini station wagon, they wanted to make the ultimate driving machine. The miracle of it all is they convinced management to build it. Paging through the original dealer brochures, it's pretty obvious the marketing department had no idea what to do with it. The literature is full of phrases like "It's not for everyone. It's not meant to be"; "A lot like nothing else"; and "For the uncompromising individualist an automobile that shatters the mold". It may have been a nightmare to promote, but those phrases should be music to every enthusiasts' ears. The marketing department is not who an enthusiast car should appeal to. Edgar Allen Poe once wrote: "There is no exquisite beauty...without some strangeness in the proportion". It always seems wholly appropriate when looking at an M Coupe. A car conceived by engineers rather than designers may not be classically beautiful. Big hips, a long roof line, deep dish wheels and short overhangs may look awkward to some, but few can argue against the purposefulness of the design. And purposefulness is beautiful to driving enthusiasts. 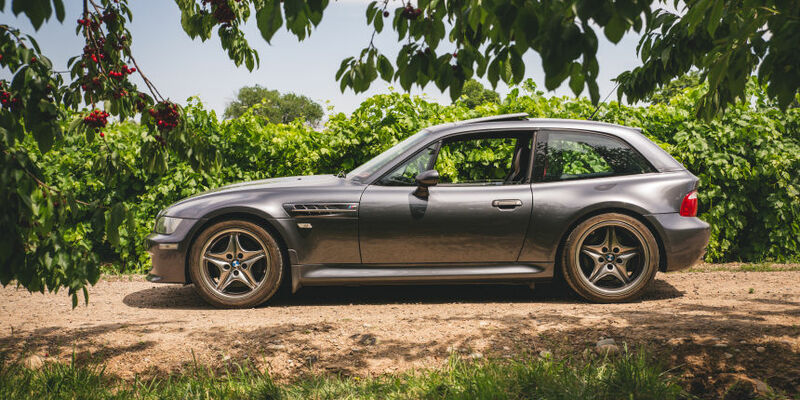 M Coupe owners don't care what others think of the looks of their car. Derogatory nicknames from automotive publications like Clown Shoe and Elf Hearse are worn proudly on personalized license plates. The largest coupe gatherings are titled Dorkfest and Schuh Syndikat. Coupe owners tend to leave the retractable pet partitions up to highlight its station wagon-ness and love that the too-long radio antenna makes it look like a remote control car. It's a car that doesn't take its self too seriously, and that just adds to the fun. M Coupe ownership is also a ticket into a very exclusive club named the Coupe Cartel. Shortly after production ended, a group of owners realized that with so few produced, they could collude to drive up resale values. While the cartel never served it's original purpose, it lives on with a very closely knit groups of owners. When an unknown coupe is "spotted in the wild", it's not uncommon to chase it down, wait for the owner to return or leave contact information on the windshield. Coupe gatherings occur all over the world with owners helping each other fix common issues, drive epic roads, and giggle at the ridiculousness of seeing so many in a single location. 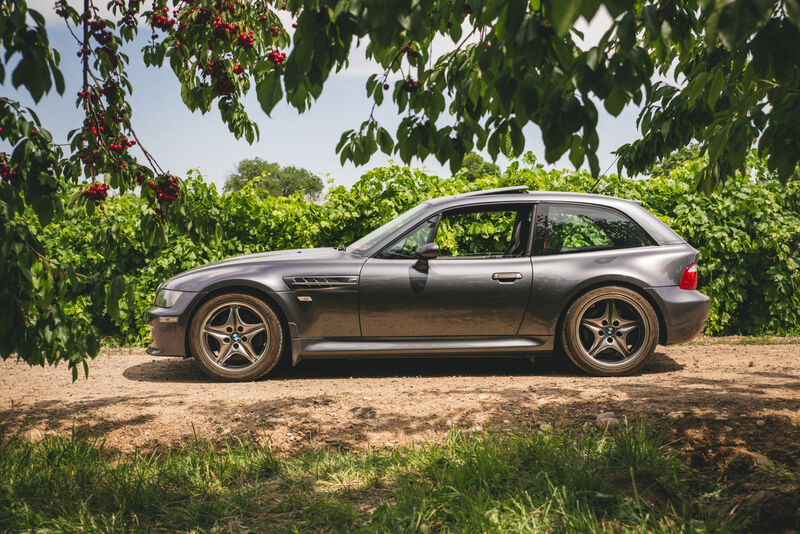 What makes the M Coupe fascinating? It's wholly unique in the automotive universe yet was never meant to be. It's like a German take on the E-Type with the heart and purposefulness of a Shelby Cobra. It's not meant to win beauty contests or even drag races, it's sole purpose is fun. The fortunate few people who own one will tell you it succeeds.